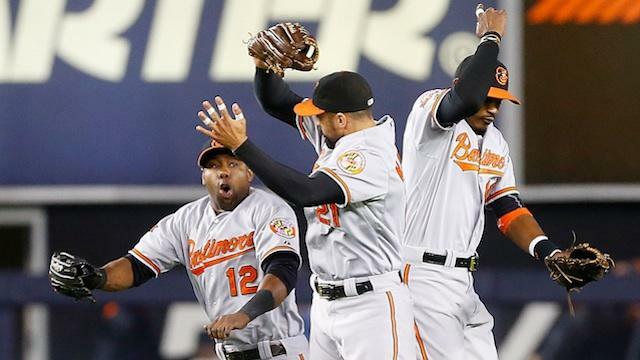 As Orioles' TV announcer Gary Thorne once put it, "Baltimore is a small city with a major league team." And that's causing businesses to go where the money is. "It’s difficult," says Ben Seigel, the executive director of Johns Hopkins 21st Century Cities Initiative, and one of the report's authors. "It’s difficult to get the large, early or later stages investment from investors in Baltimore city or even Maryland. The concern is if we are so reliant on outside investors to help companies hit that grand slam, are we then going to lose those companies?" In May of last year Graybug Vision, a spin-off from Johns Hopkins’ Wilmer Eye Institute, received $44.5 million from a California-based venture capital firm and left. That's because "investors like to sleep in their own beds" says Seigel. They don't want to have to travel coast to coast to keep track of their investments. But some start-ups stay in Baltimore, regardless of where they get their money. Why? Luke Cooper, founder and CEO of Fixt, an on-demand mobile support company, and a long-time resident of Baltimore, started his business in 2014 at a 12-week accelerator program in Boulder, Colo.
"I had always envisioned coming back to Baltimore, but it was quite difficult," says Cooper. "Because the offers between Colorado, New Orleans, California, and other places to continue growing the company were pretty strong." But Baltimore, he says, "has a unique advantage just given its geography and given its ethnic and diverse makeup," he explains. "Most cities don’t have that." Robert Lord, co-founder and CEO of Protenus, a medical data cybersecurity company, agrees. "Fundamentally, Nick and I have always valued the Baltimore community," says Lord. Lord and his co-founder, Nick Culbertson, were med students at Johns Hopkins Medical School when they started their company in 2014. He says they see top tier institutions like their alma mater and the University of Maryland as "the pinnacle of healthcare as well as this community engagement that we want to be a part of." Mid and upper level talent for medical technology start-ups is plentiful in Baltimore, says Sebastian Seiguer, founder and CEO of emocha, a mobile video technology firm aimed at making sure patients take their medication. "You have some of the best minds in healthcare in this city," says Seiguer. "So it makes sense if you are going to run a health IT company or start a health IT company to be based here." Regardless of the type of start-up, CEOs are interested in the talent pool that institutions supply, says Anders Jones, founder and CEO of Facet Wealth, a financial technology start-up. "We’re in Fin Tech so we need a mix of good technologists and people with experience in financial services," he says. "Baltimore is like the perfect place for that." Jones spent years in Silicon Valley and says its market is saturated with start-ups, which isn't good for real innovation. "Then you come to a place like Baltimore where you have a place like Johns Hopkins that filed 500 patents last year. There aren’t that many organizations in Silicon Valley that are doing that," says Jones. Ben Seigel, from Johns Hopkins, says he has a few recommendations in order for Baltimore to be more appealing to venture capitalists . "Just from an information aligning stand point we can create a better 'Match.com'-system here in this city by connecting business that are growing with investors that are looking to make investments," he says. While many of the start-up CEOs have found a supportive community and culture to start their businesses in Baltimore, they also agree with Seigel's recommendation. Many small businesses would like to see local and state leaders create a more visible platform for start-ups to succeed and draw in venture capitalists. Seigel also says that rather than the state providing direct loans or investments to banks or investment firms, they can provide guarantees to banks and investors, which gives them incentives "to make higher risk loans than maybe they typically would." Thus, helping Baltimore to maybe--just maybe--become the next east coast Silicon Valley.